What is a kitsch? I still don't have a proper definition for this notion, besides the one provided by wiki. I would say that it depends on a person's taste and it changes its meaning in different contexts. With this in mind I started the visit at the Kitsch Museum in Bucharest. 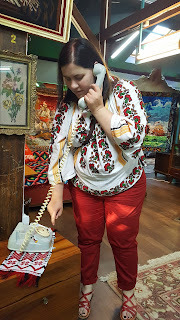 As a Romanian I would say that I share certain similarities with other Romanians in the matter of the kitsch, but even I found in the museum items that I do not consider kitschy. Because we are all different, I think it's worth a visit to this museum in Bucharest, the newest one in town. You can find all the information you would need online because the museum is present on all social media channels you could think of. A lot of the items were from the communist period in Romania. 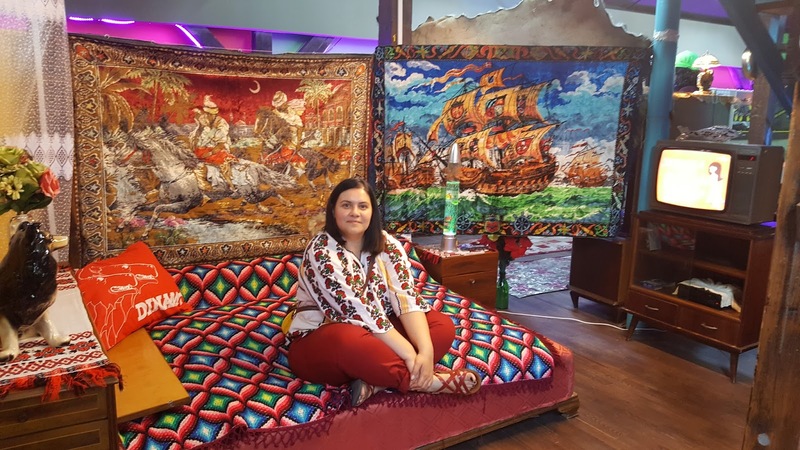 I assume they are considered kitschy by the young people, but as a person who experienced those times in Romanian history, I feel rather nostalgic. 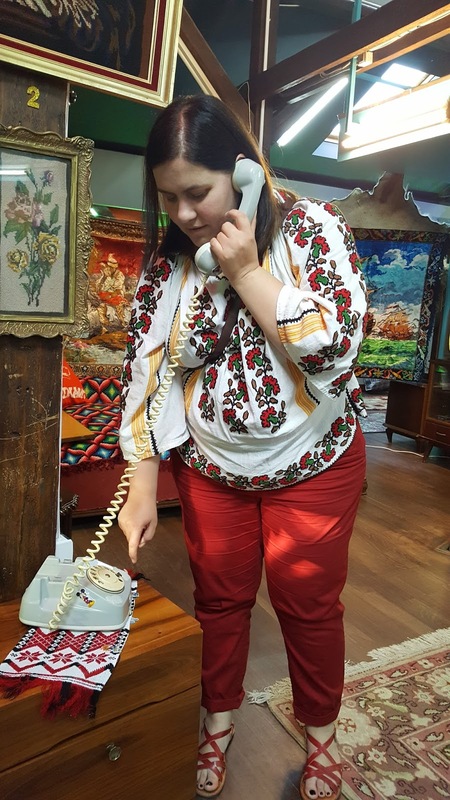 I suppose the fact that everyone had the same items in their houses can be considered kitschy, but I know for a fact that those items were present in most of the communist countries houses, so I would not dismiss them so easily. Still, the letter send by Salvador Dali to Ceausescu congratulating him for having a presidential sceptre, was one of the finds I did not know. Apparently learning a little bit of English would have saved Ceausescu and his gang from being ridiculed at an international level. 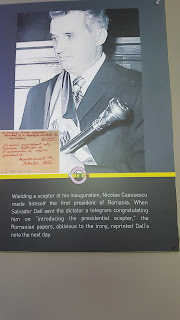 Fortunately for him, Romania was a closed country at that time and not so many Romanians knew about the letter. As the first section of the museum was communist kitsch, the second one was gypsy kitsch. Again, I consider this kitsch because it has flashy colours, but since I was not exposed to this culture, who am I to know what is kitschy and what not? On that bed one can bathe in fake money and I even heard that one can rent a night in that same bed in a museum. Could be an interesting experience! 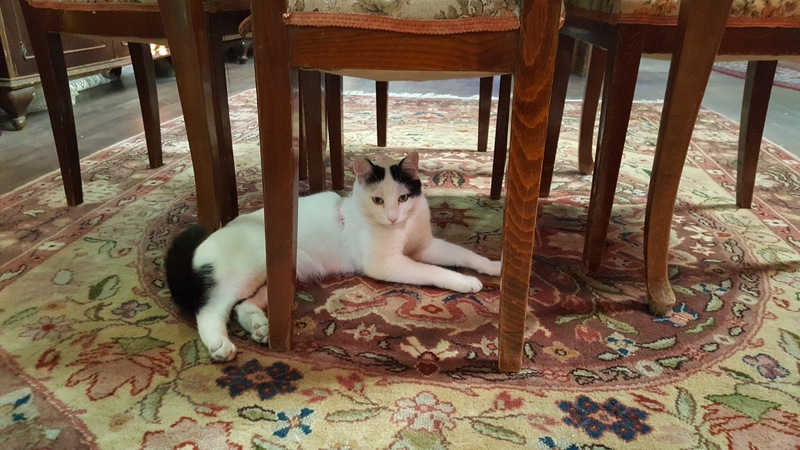 The cat of the museum. 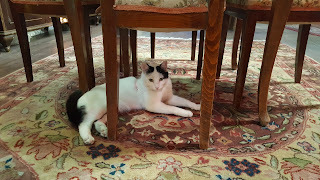 She followed us throughout our visit, but she did not want us to touch her. When I was little we had this exact type of phone. I think it's called disk phone or something. I consider it more of an antique than a kitsch, but that's just me. The craziest kitsch ever is this raffia bag. I first saw it on the people coming from the Republic of Moldova to sell something in my hometown markets, now is everywhere. I could identify with this because when I first left my hometown to go to Bucharest my parents could not find a bag big enough for my pillows and blankets and other stuff and they bought me a raffia bag. I used it as a wardrobe for about six months, because the room was so small that it would not fit a proper wardrobe. 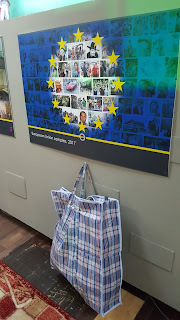 So, I can imagine a lot of Romanians and Moldavians migrating to Europe with these raffia bag. I've heard that one of the big designers even introduced it into his collection, not to mention that the raffia IKEA bags are the greatest. 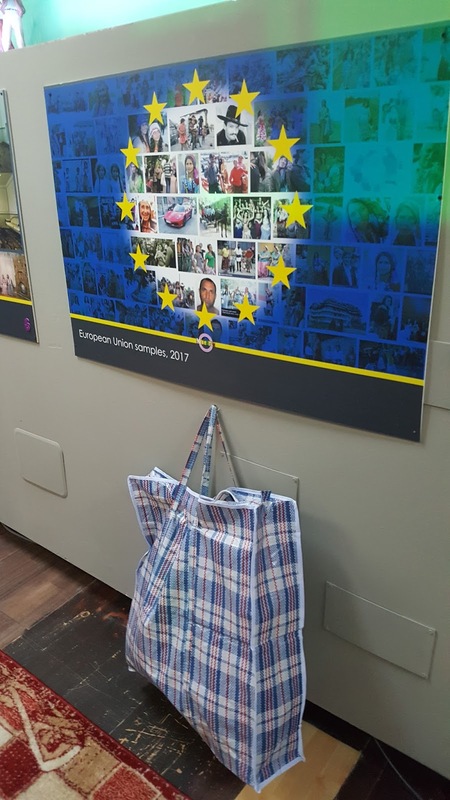 So without even knowing Romanians became trend setters in Europe with their raffia bags. All in all you should go and visit this museum in Bucharest. It is called the Kitsch Museum, but I saw it more as an ethnographic museum.